This showed up in a photo for Praxis chain rings. It looks a lot like an FSA V Drive Megaexo but looks more polished up with the blue ano. Okay, I'm almost certain they are made by "The Hive". Still I haven't been able to find another photo. is this for your dingle setup? I doubt it, but I imagine it would make a very cool singlespeed. Mountain Cycle is specing them on some of thier bikes. They say, "Turn" on them. 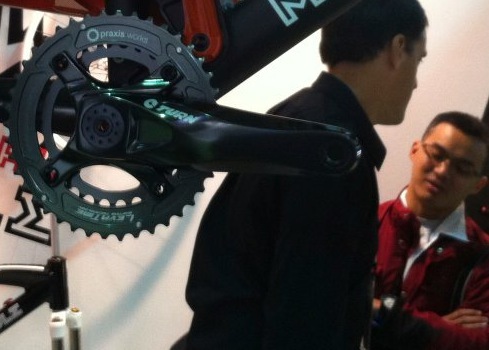 If you click on gallery under the picture of the bike, you can click to get a close up of the cranks. They are Turn Component M35 All Mountain Cranks made by some company call Praxis which had a booth at the Taipei Bicycle show. I think they are suppose to show up at Sea Otter also. The last pic is the same pic as the OP. Last edited by Hardguy; 04-16-2011 at 07:28 PM. i'm totally digging the M35 stuff. much better than that new FSA EVO bs they're trying to pump out. So other than looking nice, what else have they got going for them? They look kinda like some Shimano XTs on steroids. They look kinda heavy to me. I like the new Shimano DXR bmx cranks better than these. 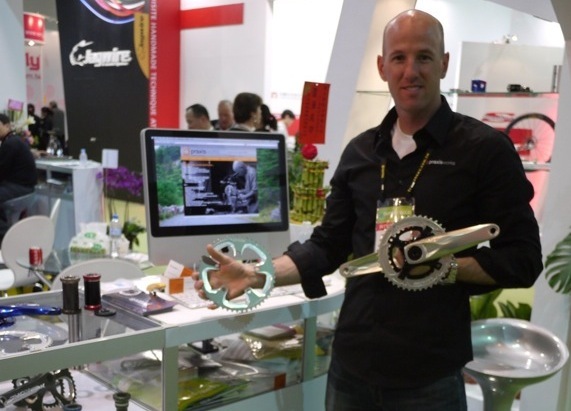 They would make good singlespeed cranks. 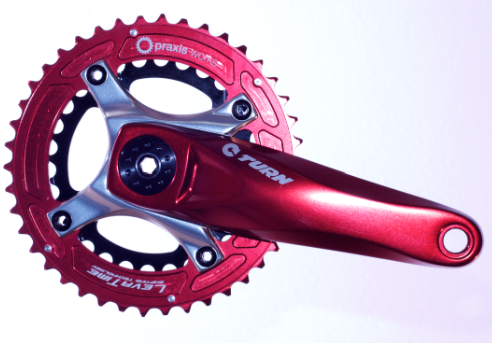 Thanks for your interest as we're riders like you and just want to put out great components! Actually, they wouldn't. The SS pros said so in the other thread. Funny. I was reading that thread last night and I think it's just a difference of opinions and we all know opinions are like a$$holes, everybody has one. 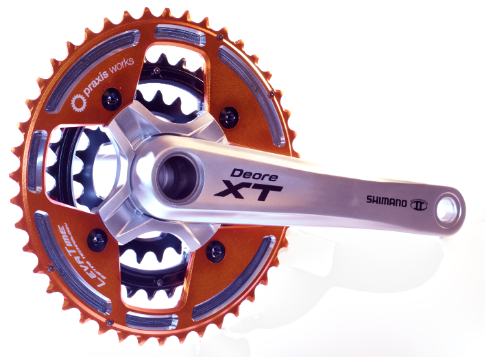 I don't really think that the Shimano DXR applies to the argument in that other thread since the DXR looks so similar to the LX and XT. 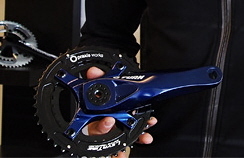 It almost looks like Shimano decided to take a LX or XT, modify it a little to make it a single chainring crankset and call it a BMX crankset. 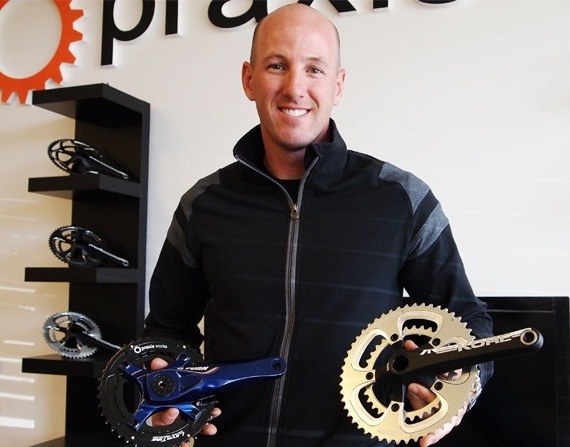 The argument between you and the other guys in that thread is whether traditional BMX cranks like Profile and Primo is better or worse for single speed than traditional MTB cranks. 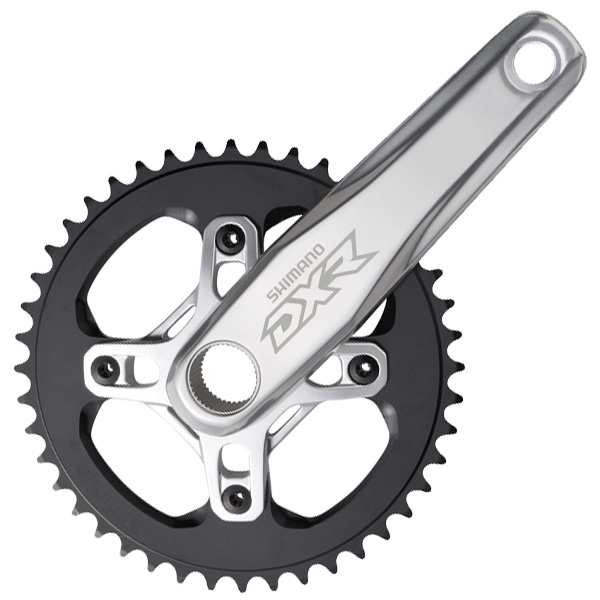 IMHO, the DXR is perfect for SS because according to Shimano it's suppose to be tough enough for BMX and it's only has mounting holes for one chain ring plus it looks pretty good. Of course, that's only my opinion. I say everyone just use what they want to use and ride what they want to ride.